I pull over at a fuel pump and from nowhere emerges a curious bunch. They ogle the SUV and ask me about its price and availability. 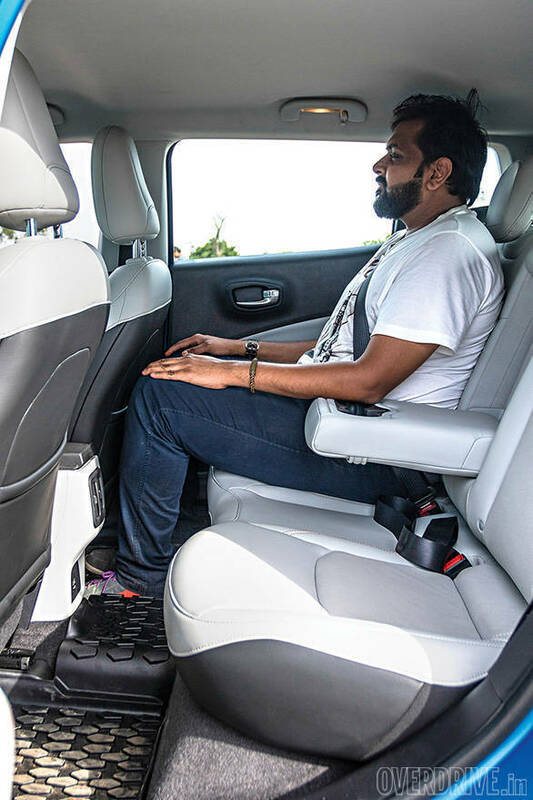 This is completely normal when you're driving the youngest Jeep in India, the Compass. 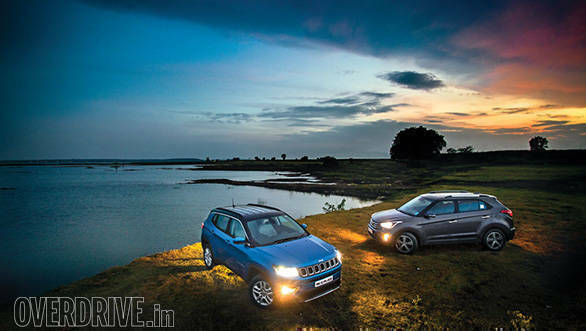 With prices starting at Rs 14.95 lakh, the Compass did generate impressive buzz. 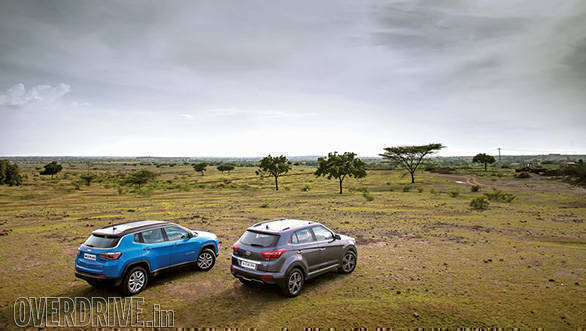 But to make an impact in the segment, the Jeep must battle it out with the segment leader, the Hyundai Creta. It's been two years since the launch of the Korean car, but it's still going strong which speaks volumes for its acceptance in the Indian SUV market. 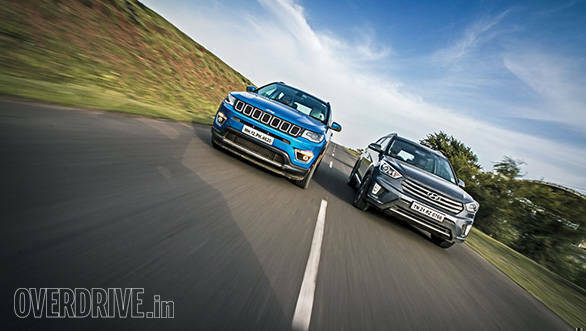 Can the Jeep Compass change the segment's dynamic? The Jeep Compass grabs a lot of attention. In fact, a few actually mistook it for the Grand Cherokee, the elder sibling. That's probably because be it the seven-slat grille or the sleek bi-xenon headlights, it's all been scaled down faithfully. The result is a striking similarity, and also an aggressive stance unlike any other in the segment. The stretched side profile with its shark-fin D-pillar and the squared-off wheel arches make the Jeep look distinct. On the other hand, the two-year-old fluidic design on the Creta, so unique at launch, now looks a little too familiar and dated. Compared to the exuberant Compass, the Creta looks understated and misses some of the Jeep's appeal. There's also the fact that the Jeep presents itself as an SUV, while the Creta looks more like a crossover. The Compass continues to score higher inside the cabin with its premium trim though the quality of plastics could have been slightly better. The Jeep boasts more modern instrumentation and a 7-inch touchscreen infotainment system. Both SUVs get Apple CarPlay and Android Auto connectivity. I liked the Jeep's system, though you need to learn it - it has multiple options that help control the aircon, music, DRLs etc. I was surprised that the Compass only gets a digital compass - not very useful. Navigation is part of the feature list of the Creta in some trims, but the Compass doesn't get it. In terms of seats and upholstery, the Creta feels premium compared to other SUVs in the segment, but the Jeep looks and feels even better. The contrast of the white seats to the black trim, the steering wheel which feels better to hold, dual-zone air conditioning, brushed aluminium door handles... it's a long list of detailed elements that elevate the Compass interior. The Creta is physically smaller outside but it isn't much smaller inside. The Jeep does offer marginally better front passenger space, but rear legroom is similar in both. I also found that the Jeep has better seats for long journeys and better contours for the cushioning. Both SUVs offer ample storage options throughout the cabin, along with generous boots. The 2.0-litre diesel in the Jeep makes 173PS and 350Nm, significantly more than the Hyundai. 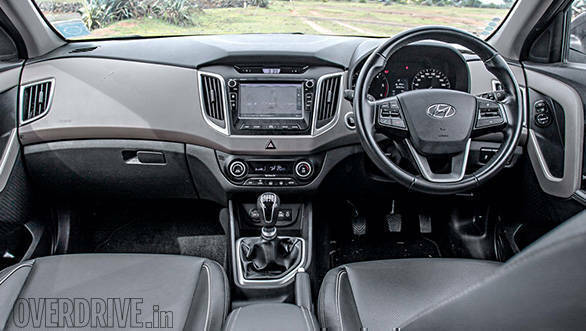 The Compass gets a 6-speed manual transmission, as does the Creta. But the Jeep engine is fairly audible in the cabin - there's audible diesel clatter at low engine speeds and engine noise post 3,500rpm. There is some turbo lag - the motor takes time to get going in bumper-to-bumper traffic. Post 1,800rpm is when the turbo's in full swing and the torque makes itself felt. Reaching triple-digit speeds is a cinch once in the powerband, and overtakes are easy without needing to downshift. The gearbox also must get some appreciation - shifts are smooth like a Honda might have. The Compass managed 12.06kmpl overall, to round out the picture. The Creta comes with a smaller 1.6-litre diesel producing 128PS and 260Nm. Interestingly, the Creta doesn't actually lag behind the Jeep though. It is quieter as well as more responsive at lower engine speeds and that makes it easier to commute. The Creta diesel, in fact, revs quicker and has a stronger and wider torque band, and it goes on strong well past 3,000rpm. The Hyundai also returns 16kmpl overall. The bigger surprise? The Creta is 0.7s quicker to 100kmph than the Compass at 11.2s. The top Jeep Compass trim comes with a four-wheel-drive set-up with Auto, Snow, Sand and Mud modes. The mode selection alters traction control settings as well as throttle response. The Compass' suspension is set up for a slightly stiffer ride which adds confidence at higher speeds. Body roll is well controlled and confidence in the Jeep around corners at high speeds is very good. 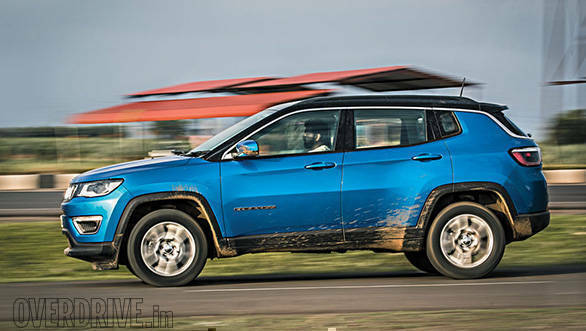 Go off-road and the story gets better still as the Compass positively glows with its Jeep DNA. Our moderate off-roading produced no surprises at all along with impressive absorption from the suspension. The Creta, on the other hand, is more of an urban creature and has a softer set-up. NVH levels are generally lower in the Creta but tackling potholes and uneven surfaces isn't uncomfortable at all. Numbers suggest that the Creta has a better ground clearance than the Compass, but that's purely because the Compass' clearance has been measured using the new format that requires the car to be loaded up while the Creta isn't yet. The Creta does seat you taller in comparison to the Compass, but in effect it feels just like a hatchback to drive, particularly in city. 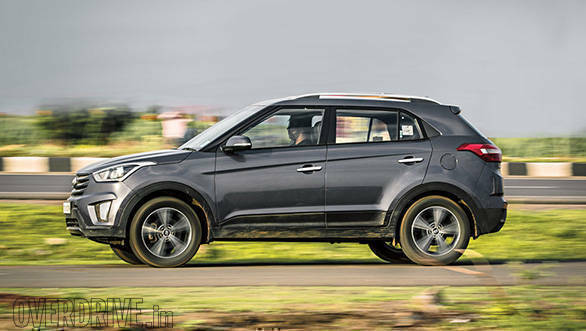 The Creta's sole niggle is that high-speed handling isn't as confident and assured as the Compass. Also, the Hyundai steering is lighter than I'd have liked at speed, while the steering system in the Jeep is spot on in terms of weighted feel and feedback both. The Hyundai Creta is a hard package to beat. It's a safe bet for those looking for a value offering. It is, as Hyundais generally are, well equipped and comes with a range of powertrain and transmission options too. What it misses, perhaps, is the appeal factor which the Compass oozes. 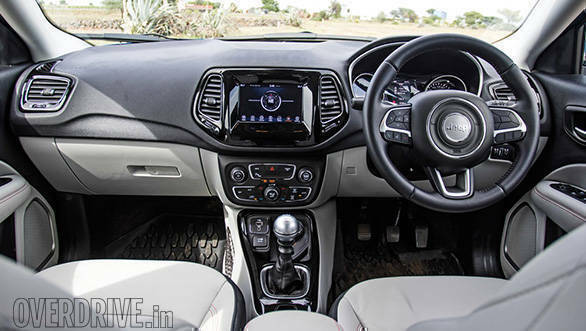 The Jeep Compass, on the other hand, commands a premium in terms of pricing but also offers a full-fat four-wheel-drive trim that makes it a proper SUV. The Compass 4x4 Limited (O) is priced at Rs 20.56 lakh, whereas the SX(O) trim of the Creta is available at Rs 14.07 lakh, all prices ex-Mumbai. For the extra money, you get a more focussed SUV with a more solid build. It is also a Jeep, which means all that brand image and heritage also accrues to the Compass. However, if you don't require the 4x4 capability of the Compass, Jeep also offers the 4x2 Limited (O) trim for Rs 18.66 lakh, ex-showroom. To sum up, if a true-blue SUV is what you want along with everyday drivability, it makes sense to stretch your budget and go in for the Jeep Compass.